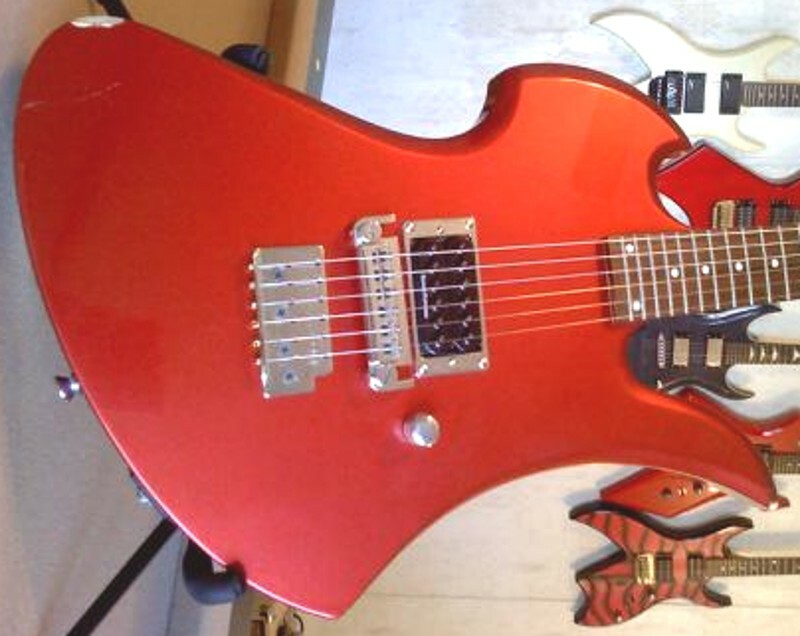 BC Rich Mockingbird model from the Bronze Series, in metallic red with chrome hardware, 24.75" scale length, a single 4-wire Duncan Detonator HB-108B humbucker pickup (clone of a Seymour Duncan Invader), a sliding coil tap switch mounted on the cover of the rear electronics area, 1 control knob for volume, stock B.C. 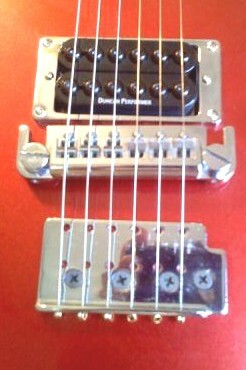 Rich wrap around bridge supported with a generic low profile bridge frame which serves here as a sort of hard tail piece, stock B.C. 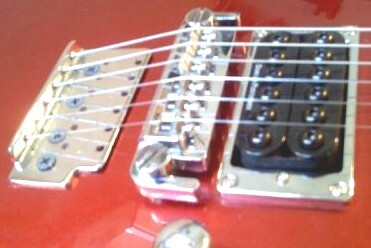 Rich tuners, maple neck with standard dot inlays, rosewood fingerboard, 24 frets.